When it comes to getting your dirty work done, there's no question about it: you don't need any old kind of water pump. That's right, you need a sewage pump. And you don't just need any old sewage pump either - you need something from the superior range offered by 4 Pumps. Why's that? Because we are talking about transporting sewage, storm water and wastewater to a higher elevation of a place of treatment - which is exactly where it should be. Quite simply, you need sewage to be where it belongs: in a sewage system or a septic tank. Where it definitely shouldn't be is anywhere near you or your family. If the sewage is not contained and dispersed of properly it's bad news because it can get into your bore water. So perhaps more than for any other kind of water pump that is on the market, it is high quality, strength and durability, and above all the reliability of that installation, that is so particularly important when you are considering buying a sewage pump. Because blockages in your systems site is more common than you might imagine, and you need a great sewage pump there for you when you most need it. Whether you're considering a new product for your valuable home or in your important income-producing commercial or industrial setting, you can't afford to have anything other than the highest quality sewage pump watching your back. Sewage system blockages can happen when poor pump systems are being used or no maintenance is being performed on a pump station building or other installation - and to put it mildly, it's not a scenario you want to walk into and if you do you need to get the services back up and running and take control. Put simply, sewage needs to be where people are not, and to do that, a special kind of submersible water pump is needed. That's because raw sewage is dangerous to human beings and needs have robust case, motor design and manufacture. Raw sewage contains viruses, bacteria, parasites, fungi and all sorts of other biological agents and nasty things that, quite simply, are extremely bad for your family's health. You can't even irrigate with the waste system for the supply and flow of food that is to be consumed because of the health risks. An excellent sewage pump that does the job it is supposed to do will quickly and efficiently move raw sewage and other wastewater to places that mean you can avoid serious illness and perhaps in the worse cases even death. As well as those nasty biological agents that are present in raw sewage, raw sewage can even contain extremely dangerous chemicals, including pesticides and carcinogens. Because of that fact, you need your raw sewage to be in the capable and expert hands of a sewage pump that gets the job done - not just today, but when you really need it long into the future. To do that, you need the efficiency of your sewage systems to be expertly handled through the installation of submersible drainage pumps that you know will do the job - today and into a distant tomorrow. What's different about a sewage pump compared to some of the other wastewater pumps that are out there on the market? Quite simply, it's all about solids. That's right, a great sewage pump is designed specifically to handle quite significantly sized and troublesome solids. And what do we mean by 'solids' exactly? No, we're not talking about nuts, bolts and rocks. By solids, we are referring to the kind of non-liquid things that are typically put into residential drain or toilet systems. You know what we mean! So not only do those submersible sewage and drainage pumps do an extremely important job, they have a pretty tough life on top of that, operating under tough conditions and often at high pressures and around the clock, day in and day out. So while you always want your run-of-the-mill wastewater pumps to do a great job wherever they are at work, you really need to rely on the durability and reliability of a sewage pump - and you can't afford to cut corners by choosing an inferior product. It really is something that you want to rely on to work properly each and every time, allowing you to sleep easy and know that a great sewage pump is looking after your premises and family. How do you make sure your sewage pump performs at the highest standards when you really need it to? It's all about ensuring that the system is chosen properly and expertly, based on the solid advice of experts and from an excellent range selected by an industry leader like 4 Pumps, and then ensuring that the installation is done right. Sewage and submersible drainage pumps need to be properly sized to the particular application in your home or premises - because we understand that every single client has a different problem to solve. But when chosen correctly, your sewage pump will have a long life, not just today but long into the future. Great sewage and drainage pumps are not only strong and reliable, they're also versatile. They can be used in a huge range of applications, including residential, commercial, industrial and for handling wastewater. And everything in the 4 Pumps range is nothing short of heavy duty. Submersible pumps can be used for pumping sewage but also storm water, grey water and trade waste. So once you've decided that you need to install a sewage pump, or upgrade to a better system that can handle higher pressure and ensure better drainage, how do you know what to buy? Firstly, you need to find a range that prioritises the use of only the highest quality materials, and boasts designs that are expertly devised by the best brands and then put together with superb workmanship. That is a great opportunity to say 'Welcome to the 4 Pumps range of sewage and submersible pumps!' In terms of everything you see in our range, we stand by the quality. Over years in the industry, and based on mountains of feedback about the performance and durability of the best products on the market, we can confidently say that 4 Pumps stocks only the best sewage pumps that money can possibly buy. But even better than that, we make sure that what you are getting for every dollar you spend on a sewage pump in the 4 Pumps range is true value. Here at 4 Pumps, we are proud to stand by the quality and value of what we think is the best range of sewage and submersible pumps you will find in Australia. It's not overnight that you develop a reputation that thrives and survives for years, but customers who keep coming back will vouch for the reliability and quality of what they have selected from our range of sewage and drainage pumps. But as we suggested earlier, a great range of submersible sewage and wastewater pumps is not everything. That's right: you also need to know which particular pump to pick and install that is perfect for your particular circumstances, application and usage. And 4 Pumps is nothing short of delighted to provide a service to help you make that choice that will ensure you will be happy rather than disappointed with the performance and longevity of your new sewage pump. So how exactly do the sewage pumps in the 4 Pumps range differ? As we suggested earlier, we will give you access to the best that world of sewage pumps has to offer in the 4 Pumps range, so it can be difficult to make the right choice for your application. If you have a residential sewage handling issue to solve, the DSK-10 manual cutter pump or DSK-10A automatic cutter pumps are highly recommended by 4 Pumps. These pump do an incredible job of keeping your sewage separate from things like ponds and dams. But for those more demanding, higher pressure applications that we know are widespread among our clients, you will likely be needing a heavy duty pumping solution like the GC-20 manual macerator pump or sewage pumps with grinders that will really solve your blockage problems and get you back on track. But at 4 Pumps, we are determined to help you make the right choice, so if you're not sure what you need from our impressive range of sewage pumps, you can lean on our years of experience in the industry and get the product that is perfect for your application and needs. That's because the 4 Pumps range features products that come in a range of sizes and capacities, right up to the hardest-working cutter pumps that do what the name suggests: cut. Solids are efficiently cut into smaller pieces that will efficiently clear those blockages, while the macerator pumps do nothing short of shredding solids into easy-to-handle liquid slurry, clearing your pipes and system of those nightmare blockages. 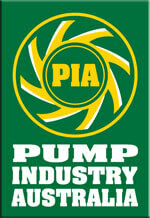 At 4 Pumps, we know how important it is that the size and capacity of the sewage pump you select is fit for the job. But it's more than that: once you've got that perfect specification right, it's time to choose a sewage pump brand that will stand the test of time. After all, a great sewage pump brand is more than just a great name - it's a guarantee of quality. A great sewage pump brand doesn't get that reputation for no reason: it's because the pumping products they design and build are of the highest quality and because they work - when you first install them, and years and years into the future with the same efficiency and effectiveness. What brands? At 4 Pumps, we stock APP, Zenit, and Bianco, and why? There are several reasons why these brands product the best sewage pumps. Firstly, you need an important product like a sewage pump, which keeps your systems flowing freely and efficiently and your family safe and healthy, to be of the highest quality. That means premium parts, including abrasion-resistant Tungsten impellers. Not just that, those awesome designs and premium parts need to be put together properly. And the best sewage pump brands use all of the latest and most intelligent construction techniques, including single-phase motors that feature state of the art thermal protection. Great submersible sewage pumps also need to be housed in particularly durable materials, like stainless steel and cast iron that will withstand the rigours of even the harshest conditions and keep that pump doing its job long into the future. And even the best quality, designs and construction are not everything in the complex world of the very best sewage pumps. Many people are also looking for sewage pump solutions with extra optional features that will suit their unique, particular needs. Among these extras on many of the models offered by the vast 4 Pumps range are pedestals, that will make the installation of the sewage pump all that much easier. You also need your sewage pumps to have great and modern features that the fast-moving world of technology can provide. These include turbulence optimisers, high efficiency impellers and propellers, and a big range of fully integrated sensors that keep the installation of these systems working efficiently like irrigation pumps - which is good for handling those difficult-to-manage sewage problems you may have, but also great for your hip pocket. At 4 Pumps, we are more than confident that our range of water pumps and sewage pumps will do the job for you - no matter your particular needs and the details of your application. Whether residential, commercial or industrial, and for all of those small or large jobs and everything in between, we are confident you will find the particular sewage pumping solution you need. And if you're still struggling to pick the right sewage pump for your installation, you can turn to the friendly, knowledgeable and experienced team at 4 Pumps to help steer you in the right direction within our range. No need to login, just call or email us.